The Ultimate Software Group, Inc. (ULTI): Hedge Funds and Insiders Are Bullish, Should You Be? It was a rough third quarter for many hedge funds, which were naturally unable to overcome the big dip in the broad market, as the S&P 500 fell by about 7% during the quarter. The Russell 2000, composed of smaller companies, performed even worse, trailing the S&P by about 14 percentage points between June 25 and October 30, as investors fled less-known quantities for safe havens. This was the case with hedge funds, who we heard were pulling money from the market amid the volatility, which included money from small-cap stocks, which they invest in at a higher rate than other investors. This action contributed to the greater decline in these stocks during the tumultuous period. We will study how this market volatility affected their sentiment towards The Ultimate Software Group, Inc. (NASDAQ:ULTI) during the quarter below. Is The Ultimate Software Group, Inc. (NASDAQ:ULTI) a marvelous stock to buy now? Money managers are becoming hopeful. The number of bullish hedge fund bets increased by one in recent months. ULTI was in 16 hedge funds’ portfolios at the end of the third quarter of 2015. There were 15 hedge funds in our database with ULTI holdings at the end of the previous quarter. In today’s marketplace there are a large number of methods market participants use to analyze their stock investments. A pair of the most innovative methods are hedge fund and insider trading signals. Experts at hedge fund tracking site Insider Monkey have shown that, historically, those who follow the top picks of the elite money managers can outperform their index-focused peers by a solid margin (see the details here). Keeping this in mind, let’s take a glance at the latest action regarding The Ultimate Software Group, Inc. (NASDAQ:ULTI). 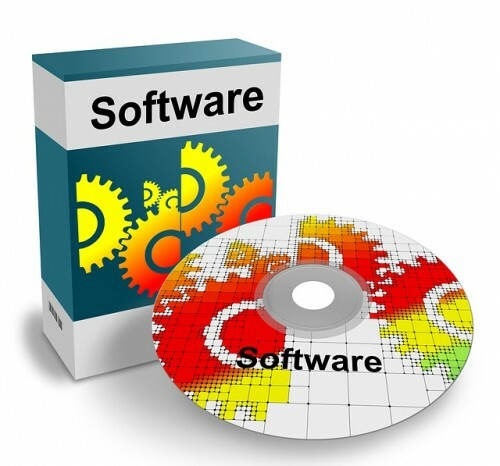 How have hedgies been trading The Ultimate Software Group, Inc. (NASDAQ:ULTI)? At Q3’s end, a total of 16 of the hedge funds tracked by Insider Monkey were long in this stock, a change of 7% from the second quarter. With hedgies’ capital changing hands, there exists an “upper tier” of noteworthy hedge fund managers who were upping their stakes meaningfully. Citadel Investment Group, managed by Ken Griffin, holds the biggest position in The Ultimate Software Group, Inc. (NASDAQ:ULTI). Citadel Investment Group has a $95.6 million position in the stock, comprising 0.1% of its 13F portfolio. The second-most bullish hedge fund manager is Weatherbie Capital, led by Matthew A. Weatherbie, holding a $29.5 million position; 3.4% of its 13F portfolio is allocated to the stock. Remaining peers that hold long positions include Paul Tudor Jones’ Tudor Investment Corp, Phill Gross and Robert Atchinson’s Adage Capital Management, and Drew Cupps’ Cupps Capital Management. Now, key money managers have jumped into The Ultimate Software Group, Inc. (NASDAQ:ULTI) headfirst. Tudor Investment Corp initiated the largest position in The Ultimate Software Group, Inc. (NASDAQ:ULTI), having $13.6 million invested in the company at the end of the quarter. Adage Capital Management also made a $13.4 million investment in the stock during the quarter. The other funds with brand new ULTI positions are Dmitry Balyasny’s Balyasny Asset Management, Peter Muller’s PDT Partners, and Richard Driehaus’ Driehaus Capital. Let’s also examine hedge fund activity in other stocks similar to The Ultimate Software Group, Inc. (NASDAQ:ULTI). These stocks are Lennox International Inc. (NYSE:LII), Helmerich & Payne, Inc. (NYSE:HP), Genpact Limited (NYSE:G), and ADT Corp (NYSE:ADT). This group of stocks’ market values match ULTI’s market value. With the results shown by Insider Monkey’s time-tested strategies, everyday investors must always watch hedge fund sentiment, and The Ultimate Software Group, Inc. (NASDAQ:ULTI) is an important part of this process. Based on that data and the fact that elite hedge funds tracked by Insider Monkey are underweight the stock, owning just 3.80% of its shares, it appears they don’t believe the stock makes for the ideal investment at the moment.